Grab your Morty and get ready. 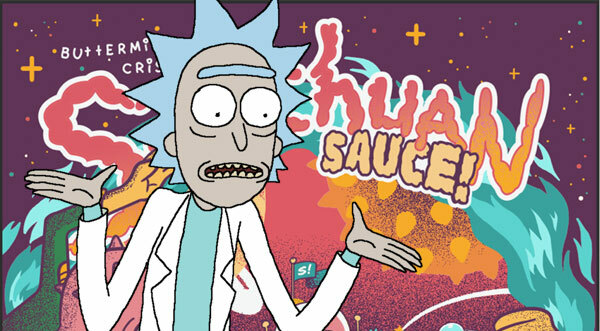 Here in 2018, the frenzy over Rick and Morty Season 3 and its obsession with Szechuan Sauce seems like a distant, fading nightmare. But if some leaked information and cryptic comments from the fast food giant are any indication, then the saucepocalypse is imminent. Szechuan Sauce could return to McDonald’s any day now, according to a redditor claiming work at a McDonald’s location. For all we know, this could be some kind of doctored image. But one commenter on the thread seemingly confirmed the information, writing, “Can confirm. Large shipments and it’ll be available February 26th.” Further comments clarify that these large shipments will arrive in stores on that date, but can we really trust redditor bsknuckles? These all come from unverified redditors, so we ought to be skeptical even if their information lines up. Most people probably remember that the surprise airing of the Rick and Morty Season 3 premiere on April 1, 2017, ended with Rick Sanchez foaming at the mouth as he ranted about a sauce McDonald’s promoted decades ago for the Disney animated film Mulan. For months, demand for the condiment grew and grew until McDonald’s broke down under the sheer weight of consumer pressure and decided to reissue the sauce in limited supply in October. With less than a month to go in winter, we’re all starting to wonder when it’ll actually happen, if at all. But if the information provided on Reddit turns out to be true, then McDonald’s might finally make good on its promise to bring the sauce back en masse, and do so very soon. Early Thursday morning, in fact, the official McDonald’s Twitter account issued a strangely positive-sounding response to a demanding fan asking about the sauce. Stay tuned, we’re working on getting Szechuan sauce back to this dimension as fast as possible! With mere weeks left to go in winter, chances are very high we’ll get some sort of official announcement from McDonald’s very soon about the sauce’s release. Whether or not we’ll actually get it before the end of winter remains to be seen, but maybe you ought to get to your local restaurant early on February 26 just in case.